It’s been a crazy busy week. The girls have had end-of-school events during the day and in the evenings. I’ve had a slew of business meetings and even managed to sneak in two nights (!) of going out with friends. Tonight, we continued our busy-ness by celebrating my husband’s birthday with dinner out and a magic show. Good time had by all. Of course his birthday also meant cake. With very little unscheduled time during the week, it would have been understandable to either buy a cake or mix one up from a box. (This is what normal people do.) But I couldn’t do either. It’s partly a matter of pride, but more so that I enjoy baking too much to give the pleasure of making a family birthday cake to someone else. And bottom line: from-scratch cakes taste too good to have anything but. Inspiration for a birthday cake was easy to find: One of my outings this past week involved an amazing meal at the Dakota Jazz Club & Restaurant. It finished with a wedge of chocolate-cola cake drizzled with a bourbon caramel sauce and sprinkled with candied bacon crumbles. The sauce and bacon took a decent piece of cake completely over the top and I wanted to create the same magic for my husband’s birthday. But this week, I just couldn’t make the time to bake and frost an entire cake, make a sauce, and caramelize bacon for crumbling. A half-full can of chocolate frosting in my daughters’ baking supplies (yes, they have their own supplies) tempted me, but I really really really like homemade better. Rather than take the time to find and follow a recipe, I beat together a chunk of softened butter, handful of baking cocoa, larger handful of powdered sugar, touch of half-and-half, and dash of vanilla. Thick, rich, and yum. 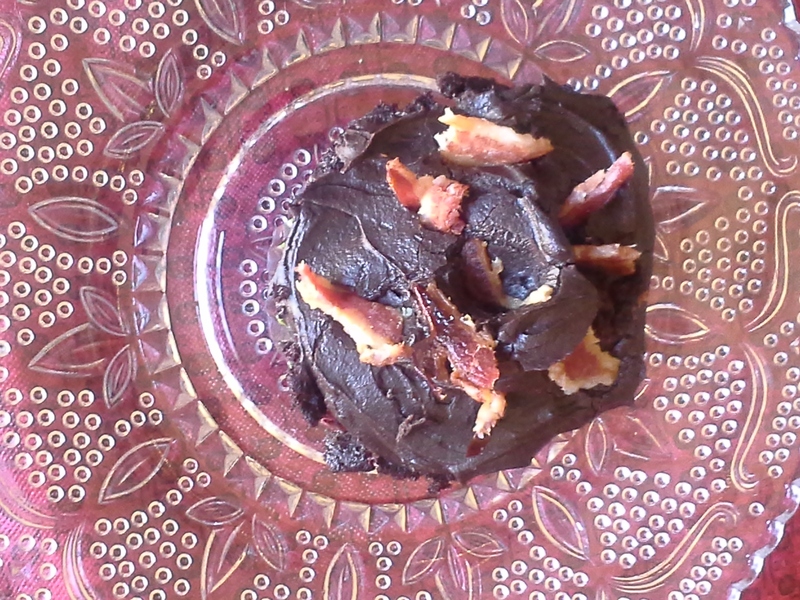 Remembering the amazing chocolate cake at Dakota, I crumbled a half-slice of re-crisped leftover bacon over each cupcake. This was decadence: chocolate, peanut butter chips, and bacon. I encourage anyone who needs to pull a birthday cake (or cupcakes) off to give homemade a go. It can be done, even when you’re busy. I set ingredients out for Ultimate Chocolate Cupcakes with Ganache Filling (from America’s Test Kitchen magazine, though I skipped the ganache) one night and mixed and baked in a few spare moments the next morning. Two days later, they were quickly frosted and topped. (I only had four to work with and froze the others for another day.) They were indeed “ultimate” and adding peanut butter chips and bacon made them even more so. 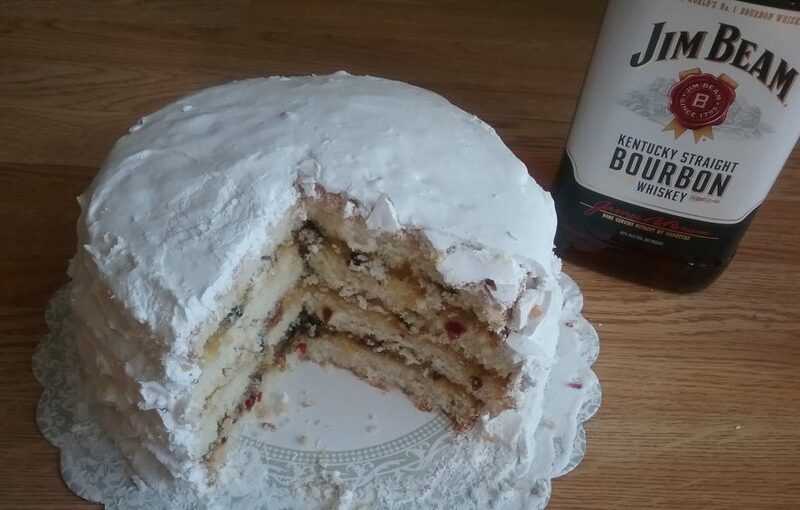 My husband would have been fine with a storebought cake or one made from a mix. But I needed to go the extra baking mile. It was fun and satisfying and the results were amazingly delicious, more than worth any extra time it took. 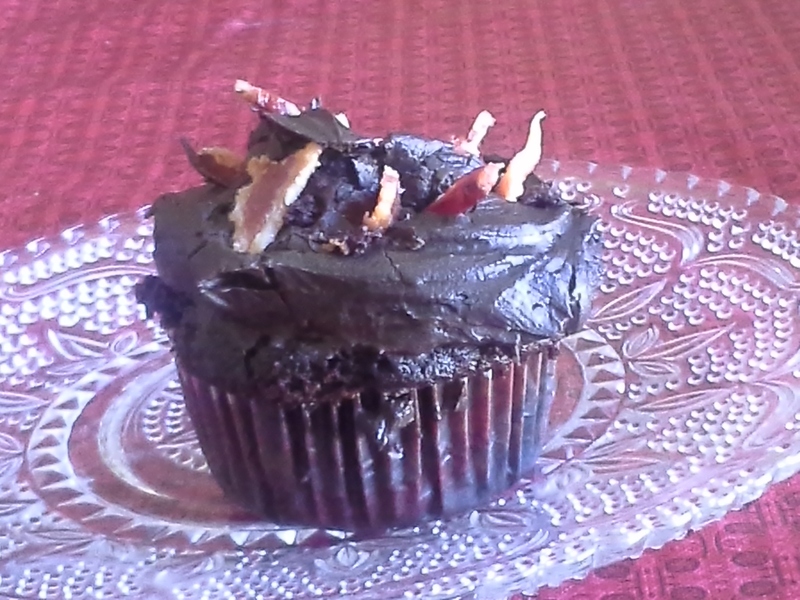 Checked out your site and wowza you make a nice cupcake:-) All you need to do to add the bacon is fry and sprinkle. Enjoy!